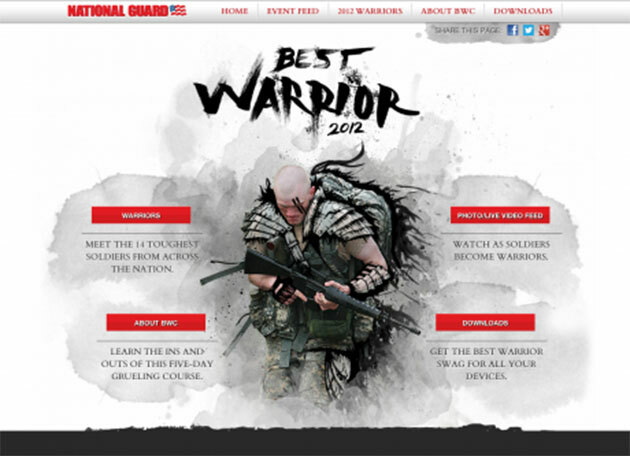 Best Warrior Competition is a competition of the National Guard’s toughest warriors. Five days in the grueling heat of Georgia with physical and mental fitness tests are only the beginning. I’ve recently had the privilege of helping the Guard out with this promotion. Take a look at some of the screen grabs and you’ll notice some of the functionality of the project, built on Symfony 2. The Event Feed shows the latest videos from the competition, uploaded everyday, named and tagged accordingly. The Twitter feed is being pulled in by the hash tag, #ngbestwarrior. The live photo feed consists of desaturated photos that fade to color on hover. The team can upload photos into the backend and once approved, they display accordingly. The user can then filter the photos. Each photo produces a lightbox with the photo’s information. approved dosage by doctors healthy clients, and 5mg of seniors and malnourished people, as well as patients with liver failure. The substance is recommended to be taken http://www.theirishmanwhiskey.com/tour/ prior to going to bed.